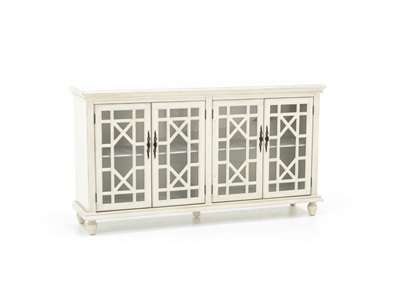 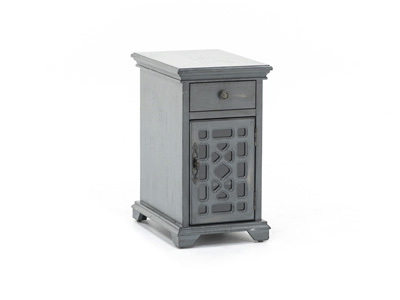 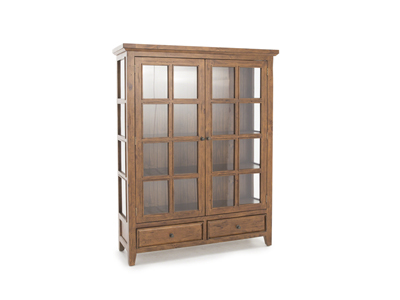 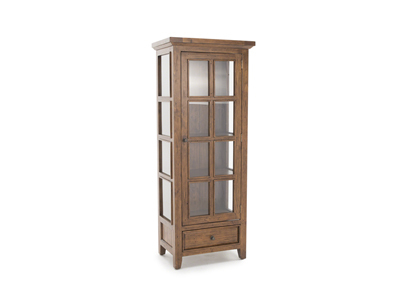 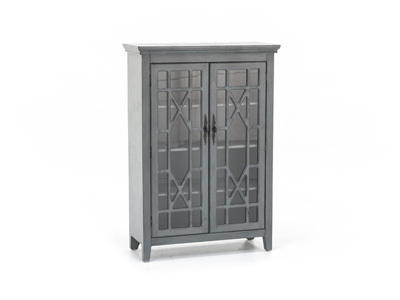 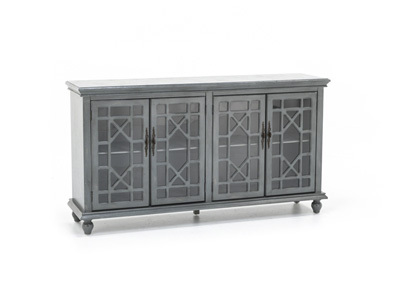 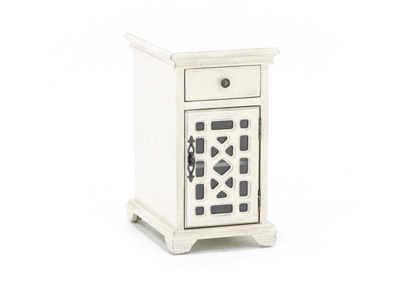 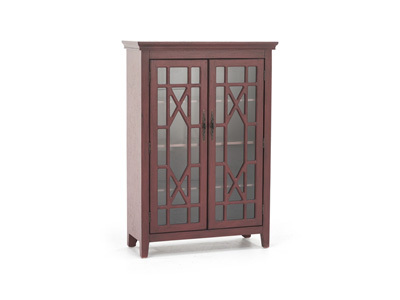 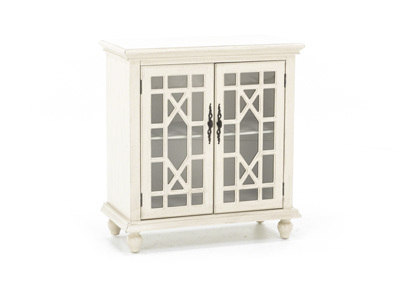 From old looks to modern storage capabilities, this accent cabinet will go great in the dining room, office, and more! 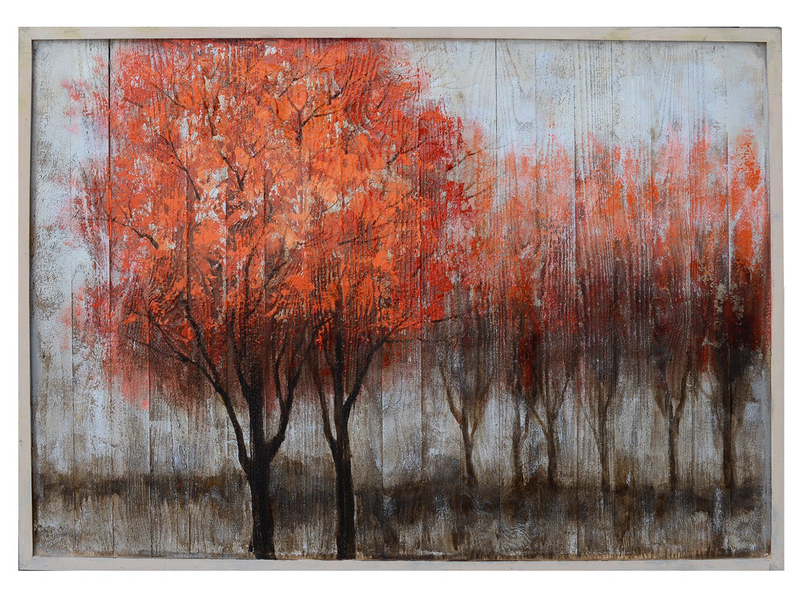 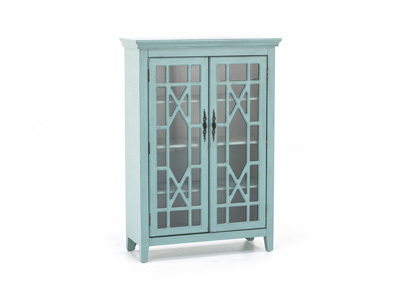 Decorative see-through doors give masterful taste with the added functionality of seeing what's inside. 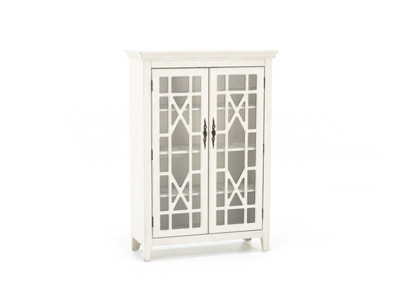 This two door cabinet features a Chinese Chippendale design on the door fronts that is backed by glass insert to reveal the inside. 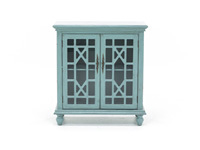 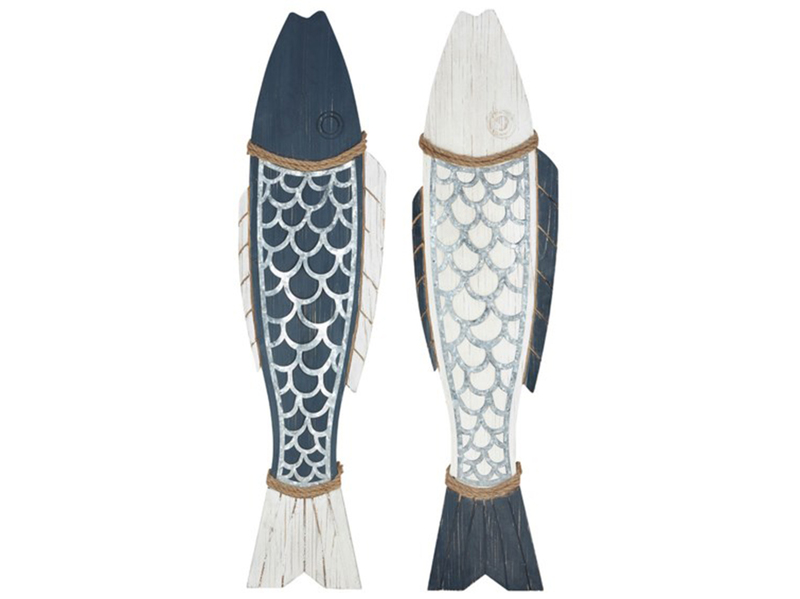 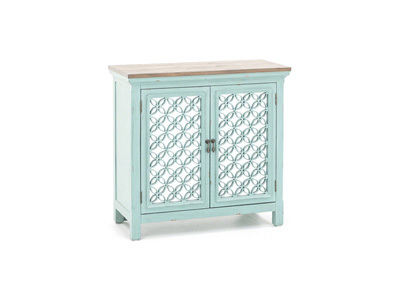 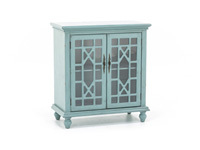 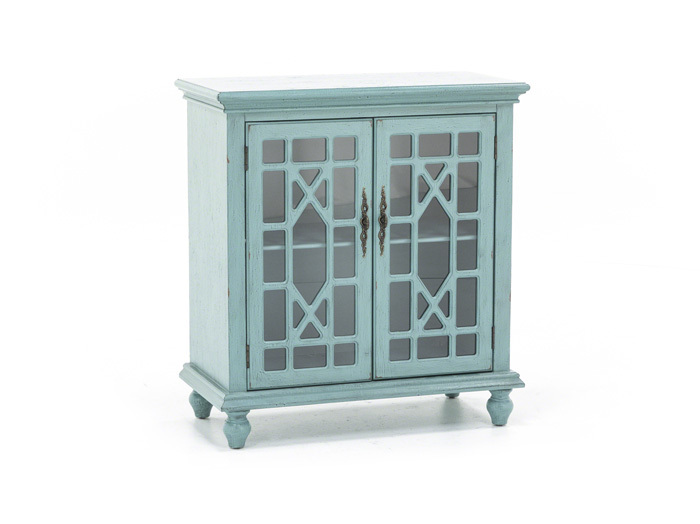 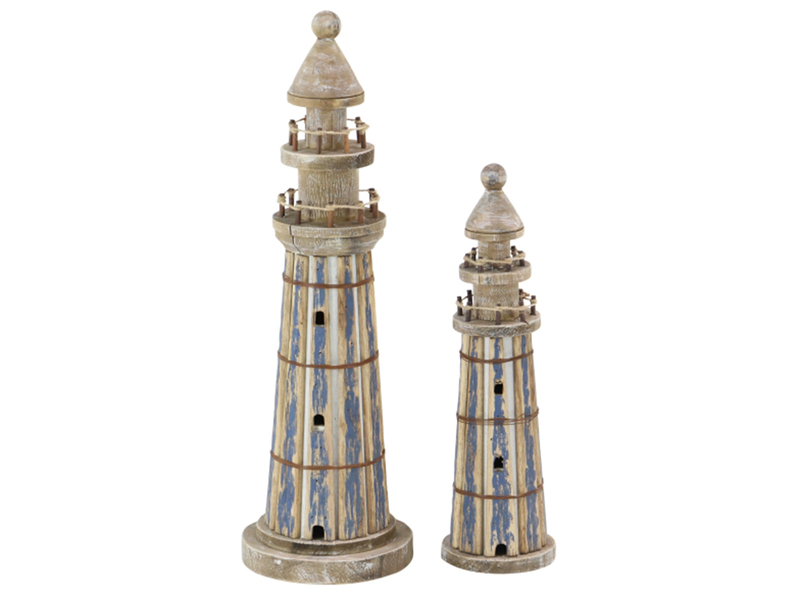 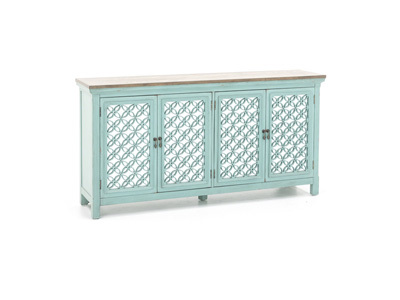 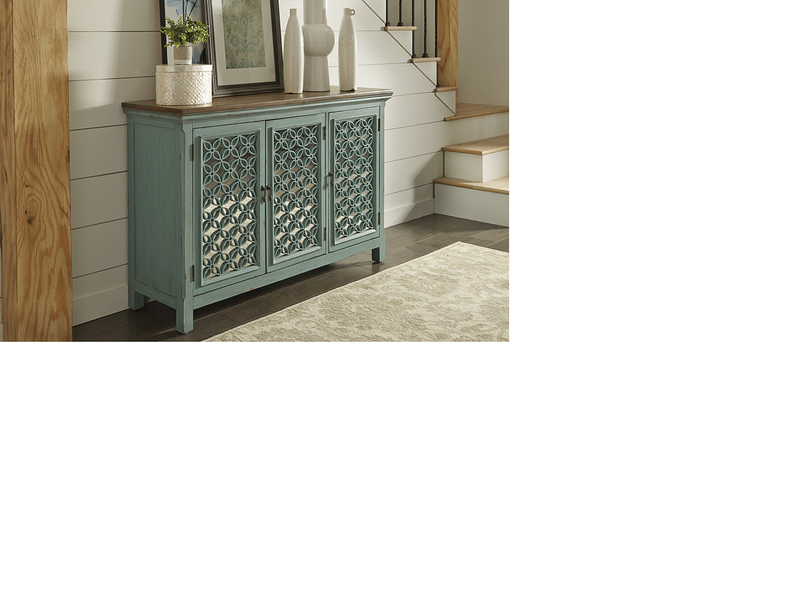 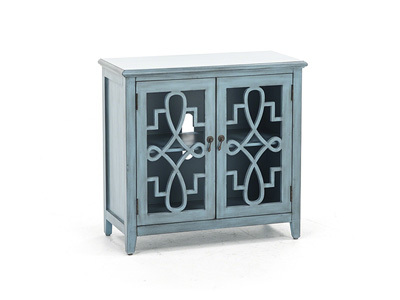 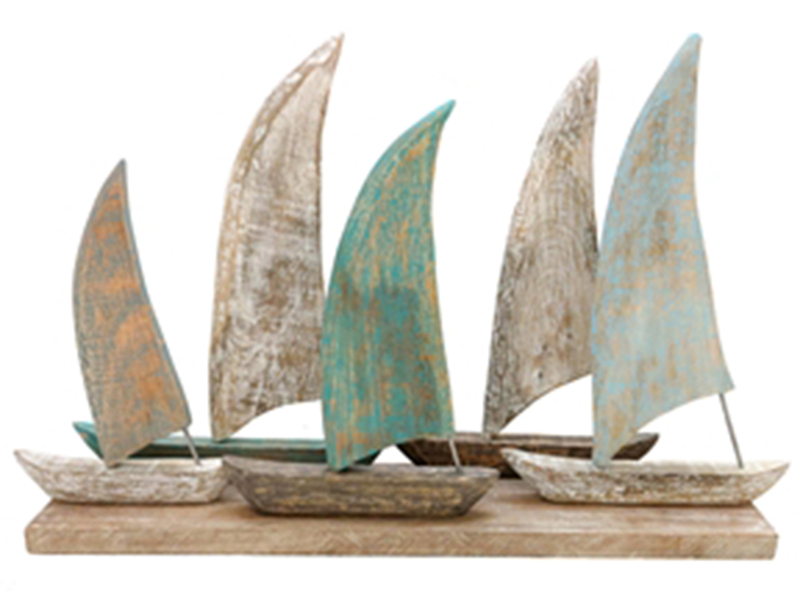 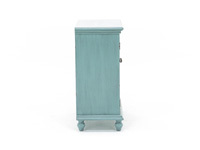 The simply shaped cabinet is finished in teal that allows the decorative hardware to shine. 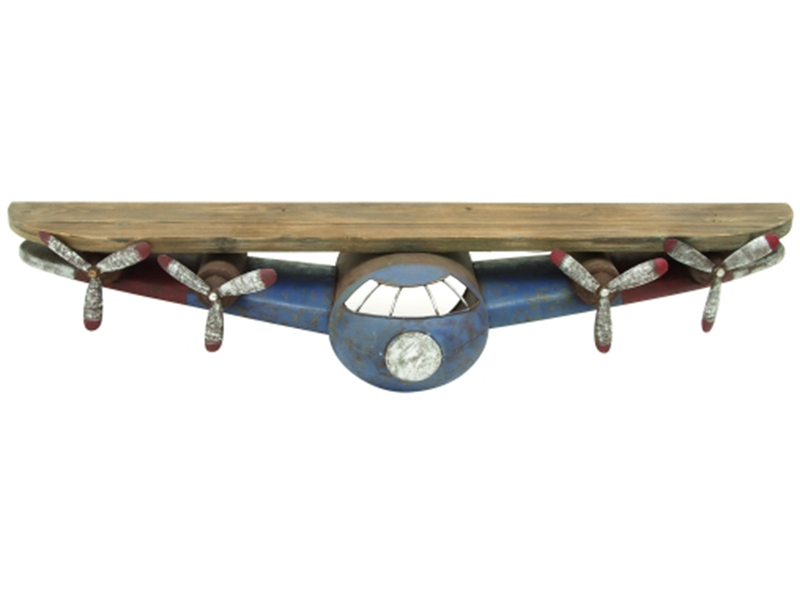 A shelf divides the interior space.